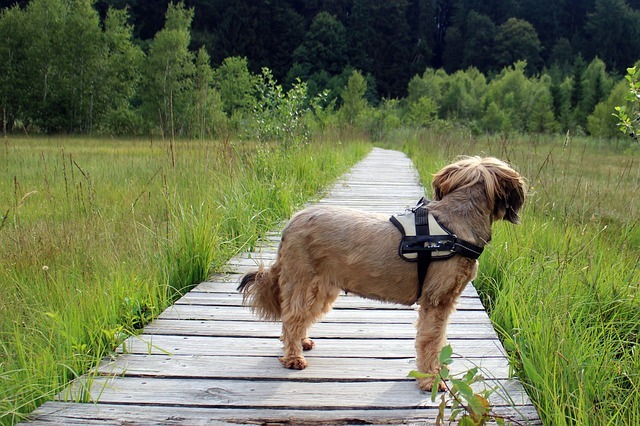 As an outdoor pursuit, dog walking is right up there as one of the most popular activities. It is good for human health and well being. It encourages people outside enjoying their surroundings and experiencing nature first hand, which contributes towards a greater understanding of the natural world. 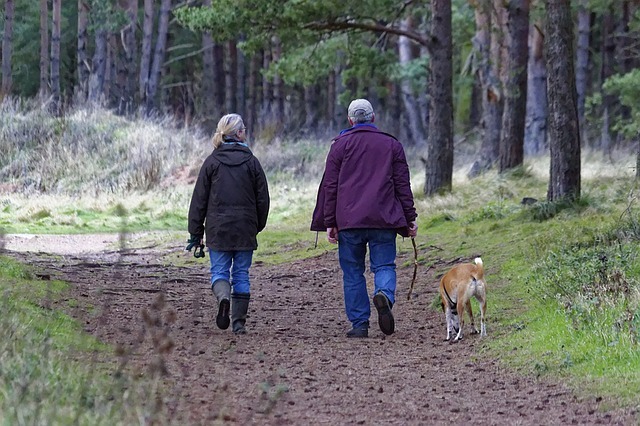 Dog owners visit the outdoors more often than non-owners and are more likely to do so without other people, which can make an important contribution to the aims of protected sites. 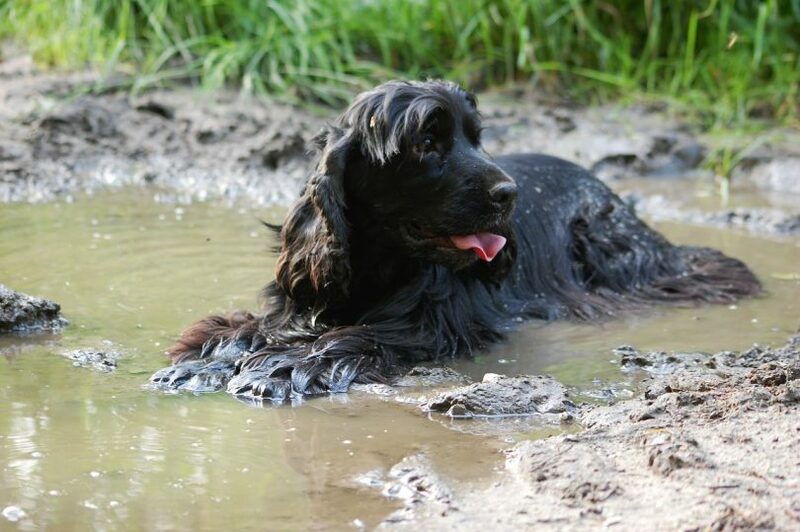 However, dogs and conservation objectives don’t always mix too well and there is no doubt that dogs can cause significant problems; those that are allowed to run about off-lead for example, cover considerably more ground than the route of a footpath, so their effects can be widespread. Uncontrolled off-lead activity can cause problems of disturbance to species, particularly ground nesting birds and reptiles. Studies have shown that even when a dog is on a lead, the presence of the animal can still result in the altered behaviour of birds and other species, this can cause ground-nesting birds to leave the nest, resulting in the loss of young birds. Dogs have been shown to cause a greater behavioural reaction than walkers alone – a study in 2009 by the University of Hull for the Humber Nature Partnership, revealed that dog walking caused significant disruption to water birds, with off-lead dogs causing more disruption than any other activity on the Humber coast except for low flying jet aircraft, which had the same category of severe disruption. The disturbance was shown to have a significant adverse effect on the time that birds spent foraging for food. In 2007 a study of woodland trails was undertaken by the University of New South Wales (Dr Peter Banks and Jessica Bryant), which showed that dog walking caused a 41% reduction in the numbers of individual birds detected and a 35% reduction in species richness compared with untreated controls – while disturbance from humans walking alone was typically less than half that of dogs. Off-lead activity can lead to physical damage of habitat through the trampling of vegetation, which can adversely damage more fragile species of plants. Some dogs have a high prey drive and can chase and even kill animals if not closely monitored and controlled. And of course we can’t ignore the mess that dogs leave behind if owners aren’t being vigilant or responsible, which is unpleasant and a potential health issue for other users if it is not picked up, in addition to localised alteration of soil conditions, which can lead to adverse effects for vegetation; soils enriched with dog faeces encourage the growth of coarser plants such as nettles and thistles, which compete with and outgrow many wildflowers. Dog mess can also cause serious disease in domestic livestock, which are often used to manage nature reserves though conservation grazing techniques. There are however, means to reduce the problems that dogs can cause for wildlife. In the most sensitive areas, the presence of dogs should be eliminated entirely, by not allowing people to bring dogs to the site with them at all. Firstly, it is important to design visitor access appropriately. The starting point is a clear overview of the numbers of dog owners who use the area, the ways in which they use it, and the relative significance of the benefits and problems that result from this use. This initial assessment should be evidence-based and used as a baseline from which management planning and discussions with others can evolve. “It is important to clearly understand the issue from all perspectives, including the views, motives and expectations which underpin the behaviour of dog owners themselves, and management is likely to be much more effective if it works, as far as possible, in sympathy with these aspirations. In general, visitors respond best to positive messages and to land managers who make them feel welcome” (outdooraccess-scotland.com). The provision and location of infrastructure such as car parks, paths, viewpoints and interpretation facilities should be carefully considered, in addition to measures such as signage and screening. A second key focus is to promote responsible behaviour. Effective communication is essential to develop understanding and co-operation from dog owners, in order to support the aims of the site and to encourage desired behaviours. Are confined to specific locations where they are genuinely required. Clearly state the reason for the request. On-site staff are likely to have a key role in managing people; methods should be responsive and flexible, adapting where necessary when things aren’t working out as planned. Potential approaches range from statements of fact: “Dogs harm ground-nesting birds”, to pleas to dog owners to behave responsibly: “Help your dog help wildlife…”, or explanations: “Skylarks nest here – please keep your dog on a lead in this area” Scottish Wildlife Trust policy document. The implementation of seasonal restrictions in certain areas of a site can allow species such as ground nesting birds to successfully complete sensitive periods in peace. People should be encouraged to stay on certain routes that avoid sensitive areas. The route should be clearly defined so that it is easy to follow and signage should inform people about the reasons for sticking to marked routes. It is advisable to develop access routes from long established desire lines; efforts to move or close well-used paths may result in a second route becoming established, creating even more disturbance. Areas can be designated in three main ways i.e. dogs allowed but on lead, dogs allowed off-lead and no dogs allowed at all. These areas should be accompanied by clear codes of practice whereby the restrictions are defined e.g. if dogs are required to be on a short lead and under ‘close control’, specify what this means (e.g. less than two metres lead length and meaning that a dog responds immediately to commands and is kept close at heel). Any penalties for those not complying with the rules should also be defined. The suggestion of alternative areas nearby where dogs may be exercised safely off-lead without threat to wildlife is useful when closing areas off completely to dog walkers. The provision of bins for dog waste, makes dog walkers feel welcome and encourages them to dispose of their dogs waste appropriately. However, on some sites where it is not practical to install bins, owners are being more frequently encouraged to clear the mess to one side, off main paths, rather than picking it up. This is to avoid the problem of people leaving bags hanging from tree branches and at the side of pathways. Lastly, if all other approaches are not working, formal regulatory measures such as byelaws may be considered. Reckless disturbance of breeding Schedule 1 birds is a criminal offence and should be addressed in conjunction with the police. The key to managing a site in a successful way for all concerned, begins by obtaining a thorough understanding of the behaviour and numbers of site users, followed by designing the site to accommodate this usage, whilst implementing supporting measures such as signage and infrastructure in a considered way – and most importantly, monitoring conditions on site and adapting as necessary. Lincolnshire Wildlife Trust Magazine article – Dogs and Nature Conservation by Robert Enderby. Scottish Wildlife Trust Policy – Dog Disturbance and Wildlife. 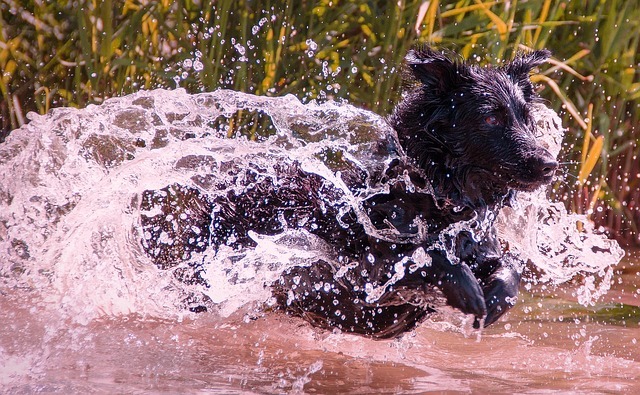 Taking the Lead – Managing access with dogs to reduce impacts on land management. Scottish Natural Heritage.